For twenty-three years, Jeanette Marshall, daughter of an eminent anatomist, recorded her impressions of the drawing room society of late Victorian London, which included such intellectual and artistic luminaries as Rosseti, Ford Madox Brown, and Burn Jones's mistress, Mary Zambaco. In constant pursuit of a husband, craftily steering a course between strong-mindedness and frivolity, she applied her brisk realism and caustic manner to paint a vivid and often unexpected picture of Victorian daily life. 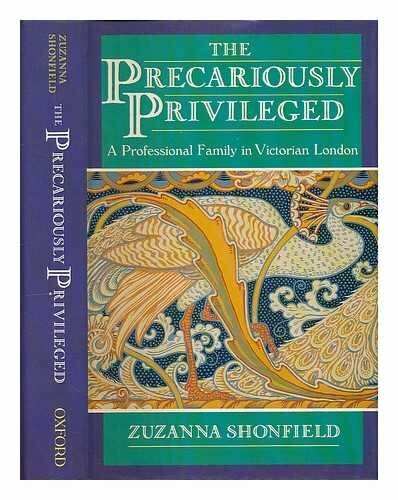 Drawing on these previously untapped diaries, Zuzanna Shonfield reconstructs the life of the Marshall family and charts the trials and fortunes, both comic and poignant, which befell these precariously privileged newcomers to London society.